DCA Airport Transfer Service has become suited to handle any and all airport car transportation needs of executives and personalized services of any size. From the minute you pick up the phone and contact our DC Airport Corporate Car Services to the drop off at your destination, our priority is to ensure you with a comfortable transportation experience while saving you the most. From our professional staff members that take your calls 24/7, to our wide selection of immaculate and spotless luxury sedans, SUVs, stretch limousines and charter buses, DCA Airport Transfer is dedicated to ensuring you with that special level of Airport Car Service you and your clients or guests have come to expect every time you book through DCA Airport Transfer. IAD Airport Transfer can handle all your transportation needs to and from IAD airport, whether it is a quick ride in a sedan to the airport or a bus service for large groups, we need to monitor your flight changes to give you the best possible Airport Car Service. Discuss your options with a live service agent, our immaculate IAD Airport Transfer vehicles and exceptional service has helped us become the number one provider of luxury limousine and car services for a variety of events. We offer affordable luxury transportation to and from all major airports in the region, throughout DC, VA and MD. IAD Airport Transfer comprehends how important it is for you to have safe, comfortable transportation for your personal and corporate needs. Call our staff today and start saving today while we take care of all your BWI Airport Transfer needs with a wide variety of luxury vehicles, we provide dependable, safe and experienced luxury limousine and car service for executive travel, airport transportation, and even celebrities. We are the preferred BWI Car Service for all your personal and corporate needs! No matter what you may need, BWI Airport Transfer offers the most diverse fleet in the region; form economy sedan to stretch limos to full size charter buses and we have the perfect solution to your airport transportation needs regardless of the number of passengers, destination or time, BWI Airport Transfer staff and reservationists are available 24/7 for your convenience. Airport car services are a thing of today – in-fact they are so convenient that it just makes practical sense to hire airport pick-up and drop-off services. 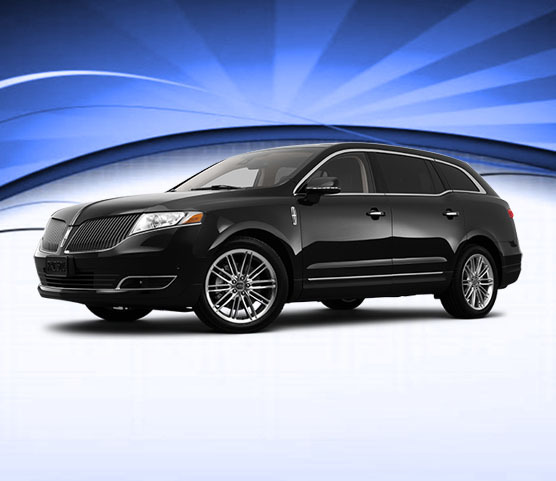 Car Service DC Incorporated guarantees you a comfortable and luxurious ride, to and from the DC airports. 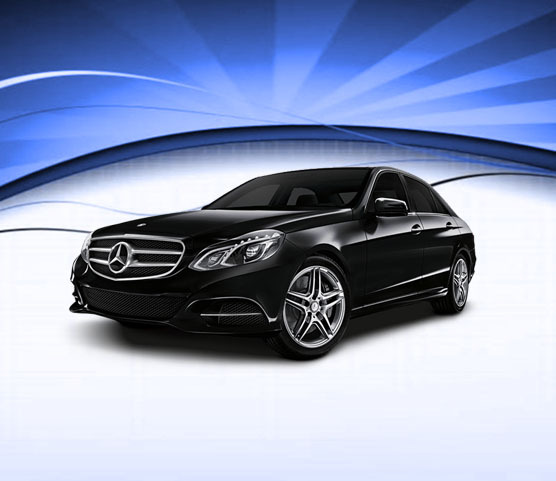 Everyone wants a hassle-free airport car hire service, and that is just what you get from us. Why Should You Hire Airport Car Services? For many of us, travelling leads to stress; stress about packing, about managing the itinerary, about making staying arrangements, etc. Let us take a little bit of stress off of you, by ensuring that a suitable pick-up is available for you. Whether you are travelling alone, with your family, friends or in a group, having a chauffeur driven car at your service may be just what you need to make the airport trip hassle-free and stress-free. As an expert airport car services provider in DC, we can get you to the airport on time, following a route with minimum traffic. Our chauffeurs are experts in managing logistics and ensuring that your ride to or from the airport is a pleasant one. 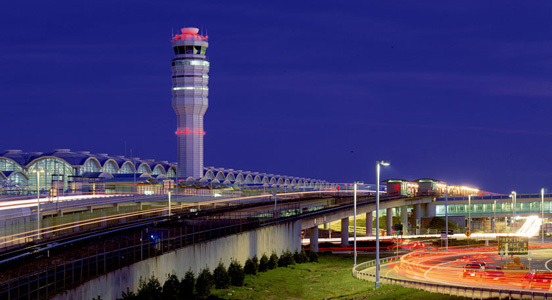 Whether it is the Washington Reagon National Airport (DCA), the Washington Dulles International Airport (IAD) or the Baltimore Washington International Airport (BWI), we can get you to your destination well in time. The thing about hiring a car to take you to the airport is that it is a good way of ensuring that you leave your home or place of pick-up on time. This is because the car arrives to pick up up about 10 to 15 minutes earlier than the time you have requested. The arrival of the car will be a warning sign to you, to hurry up and leave for the airport. The awaiting chauffeur will be a reminder to you and will push you to leave for the airport in-time, to make it there comfortably, so you have ample time to fulfil the formalities before flying. Moreover, since the last thing you want is to get stuck in traffic, a chauffeur driven car will relieve you of the pressure to decide on the best route or to fight traffic as you try to reach the airport. The chauffeur will take care of all these details, while you sit back and relax before your trip. Hiring a car for taking you to the airport is the perfect way to ensure that you arrive to the airport less tensed. In-fact, you can use this time to practice your speech, or go through your presentation, in case you are going on an official trip, for example. Or you can just listen to the radio and admire the city while our chauffeur takes you to the airport. And let’s say that you choose to drive your own car to the airport, not only would you need to make a car parking arrangement in advance, but you would have to pay the rent for the number of days you use the airport car parking services. Why add to the cost of your trip by making this payment when you can have our car drop you off? Also, by leaving your car at the airport parking, you would constantly be worried about its security as well. Why should you carry all this burden on your trip when you can leave all of these worries behind by hiring our airport car services? When you are coming back home, having a car waiting for you is the best feeling ever! Because you know that after a tiring trip, the last thing you want to do is wait for a taxi to take you home. Haggling with the taxi driver, loading and unloading the luggage, all these hassles will just add misery. Why ruin your perfect trip? Since the first thing you want to do is to unwind at home, we make sure that’s exactly what you get. Our chauffeur driven car will be waiting for you at the arrival area when you land at the airport. We will handle your luggage and take you to your home, timely, in style and in comfort. You can begin to start feeling at home as soon as you see the smiling and friendly face of our chauffeur, eagerly awaiting your arrival. If you have a close relative, an important client or a loved one arriving at the airport and you cannot go in person to pick them up, our airport pick-up services are the perfect alternative. With the professional level of service we provide, your guests will feel special and pampered when they see experience our airport pick-up service. If its an important client you are trying to land, having a car to pick them up from the airport arranged, will send a message to them about your regard and taste for high quality. 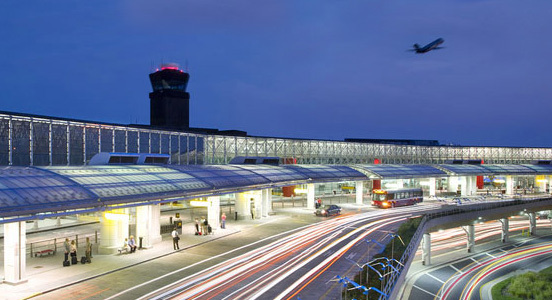 Are you travelling to or arriving at the BWI Airport? Our BWI Airport transportation service is just the kind of service which will come in handy, if you want to save the cost and the time involved in airport travelling. The most enticing thing about our services is that you can make reservations in advance and not follow up at all. Our procedures are so refined and fine tuned, that we remember an airport service commitment that we may have made even months ago. You can even make a reservation from the airport as well, if you desire; however, advance bookings are more time saving and stress free and you won’t need to wait in anticipation of a mode of transportation. If you avail our BWI airport transportation service, our chauffeured driven car will pick you up from the airport and take you to any destination you desire; or it will pick you up from a destination of your choice and take you to the BWI airport. By selecting our BWI airport transportation, you guarantee yourself the receipt of top class, professional quality services. Whether you are travelling for pleasure or for business commitments, you could travel to and from the airport in style and comfort in one of our cars. The way you travel certainly says a lot about you, so you shouldn’t compromise on that. By hiring a professional service provider like us for travelling to or from the DCA Airport, Washington, you can impress on a personal and a corporate level. 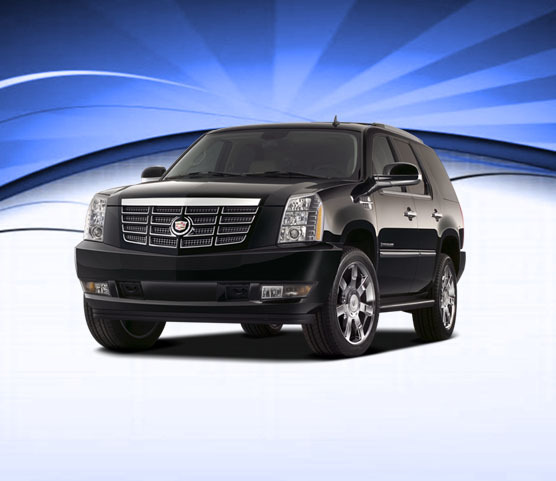 When you step out of one of our luxury, well maintained vehicles, such as a sedan or a limo, you immediately grab attention from those watching you. Your cool demeanor, since you have travelled in a relaxing and comfortable environment and since you know that the driving hassles have been well taken care of, can give you just the kind of impact you need, especially if you arrive at a corporate meeting venue directly from the airport. Having a car arranged to pick you up and take you to the corporate meeting, shows your preparedness and your approach towards contingency planning by making sure you arrive to your destination well in-time, by not leaving your transportation arrangements on luck. When you don’t take a chance, in your travelling, you show others that you are a true professional. If you are trying to impress on a personal level, such as a relative (maybe an in-law? ), stepping out of our car will be of a great help. Not only will it say a lot about your fine taste, it will also communicate that you can make your own travelling arrangements, without having to depend upon anyone. Are you looking for a car service that can make travelling to and from IAD easier and more affordable? Car Service DC Incorporated can provide you hassle-free, affordable as well as luxurious, safe, reliable and comfortable travelling service, to and from the IAD. When you want to travel in groups, or if you are going with the entire family, it is important to have everyone arrive to and from the airport together. This not just saves time and cost, but it saves a lot of energy that would otherwise be spent in coordinating efforts. Also, managing such a huge amount of luggage would just be a headache and a source of major stress. However, by getting one of our vehicles arranged, for picking you up from the airport or for taking all of you to the airport, you will make your life and your travel much easier and tension free. We will manage to transport the entire group of people, in time, together and also make sure all your luggage reaches the destination safely, in one piece. Our chauffeurs are extremely well trained in executing their services, with the highest level of professional etiquette, with utmost respect to you and in an extremely cooperative and friendly manner. If you have any concerns regarding our service, you can give us a call at our workplace and one of our representatives will explain our airport car service’s terms and conditions, in detail to you. You can discuss your travelling schedule with us, your vehicle requirements and any special arrangements that we may need to make. The more detailed requirements you give us, the better a chance we get to make your experience with us, highly pleasant and satisfying. We put in a lot of effort to meet and exceed the expectations of each of our customers, because we believe in forming long-term relationships with our clients. If you are someone who flies regularly, or on a frequent basis, we would like to provide you a service, that would compel you to keep coming back to us, whenever you are in need of a car to pick you and/or drop you off to any of the popular and major airports in the DC region. We are one of the leading airport car service providers in DC and we offer our customers, BWI airport transportation, DCA airport, Washington transportation as well as pick up and drop off service for IAD. You can make your selection from our wide range of fleet, which includes top of the line luxury vehicles, to make your travelling safe, comfortable and luxurious. We put our vehicles through a tough and a regular regime of repair and maintenance, minimizing the chances of vehicle breakdown while we provide airport transport services to our clients. But running a professional and high quality car service business takes more than vehicle maintenance; the service quality has to be up to the mark as well. Keeping this under consideration, we put all our staff through regular training and development. We make sure that our staff has the latest knowledge and skills concerning customer services and customer interactions. We also ensure that they know the latest in airport car services, including routes and information about peak traffic hours. This helps them in making informed decisions while serving you. Our extensive training enables our employees, including our chauffeurs to enjoy their field of work and to understand how important their grooming is for career development and progression by satisfying our clients. 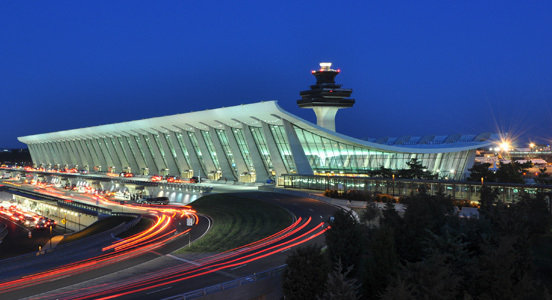 The leadership’s commitment to providing the very best of airport car services in DC has clearly benefited the clients, by giving them easy access to all major airports in the DC region. Providing efficient and effective airport rentals has been ingrained in every process of the business. So if you are planning to travel to a DC airport or if you have someone arriving over there, all you have to do is pick up your phone and make an arrangement for a car. You can leave the rest to us. Due to the convenience and the reliability and affordability of services, a great number of travelers are preferring to hire a car from Car Service DC Incorporated, to considerably reduce travelling worries.